• Womb-view Live Stream for anywhere in the world, share with family + friends! *We include a limited non-diagnostic scan to confirm the gender, number of babies, baby’s presentation, placental location and measure the heart rate. Please note, at no time is this exam to be used in place of a complete diagnostic ultrasound. We are in no way liable for incorrect gender reveals, ultrasounds performed, or any related liability. Special offers cannot be combined. ***Flatirons does is not liable for any incorrect Gender determination as outlined in the "flatirons hd ultrasound guest forms". **Future 10% off only valid on current pregnancy. *File Share is only guaranteed for the package timelines and will not be available past the date of service as the package specifies. 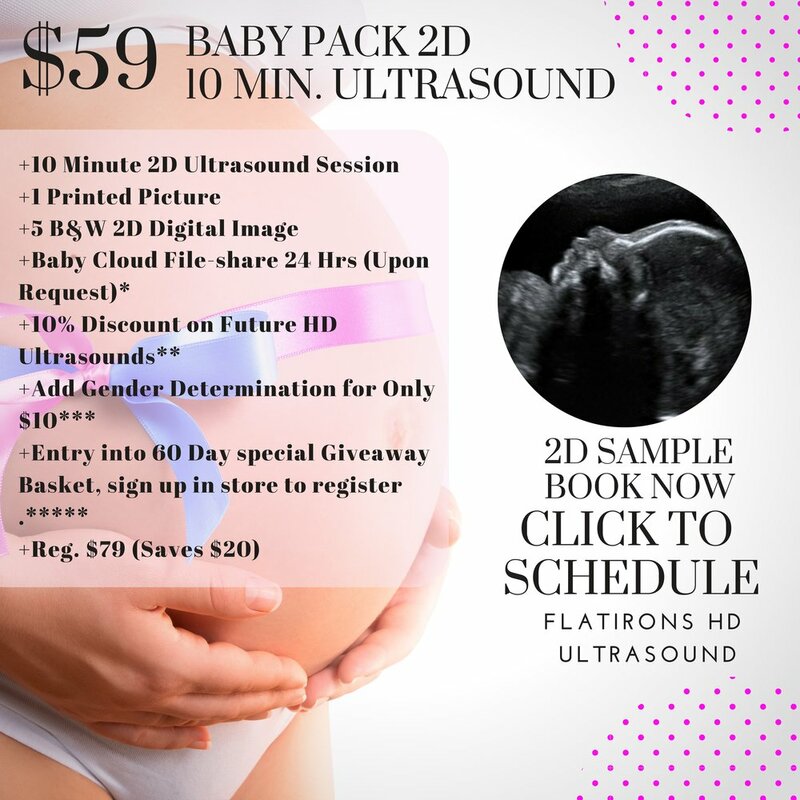 All ultrasound services we perform assume that you have adhered to the aforementioned "Flatirons HD Ultrasound LLC policies" By utilizing any of our services you are automatically agreeing to the above mentioned policies.